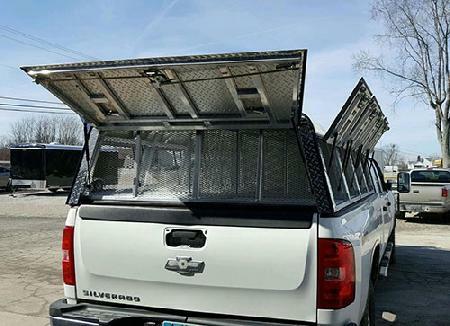 8' bed, 23" tall, 8 Stall dog hauler, All doors have gas props, stainless fold-down T handles and vents. White roof, diamond plate front, back and sides. This web site was created by Palomino Solutions Inc.